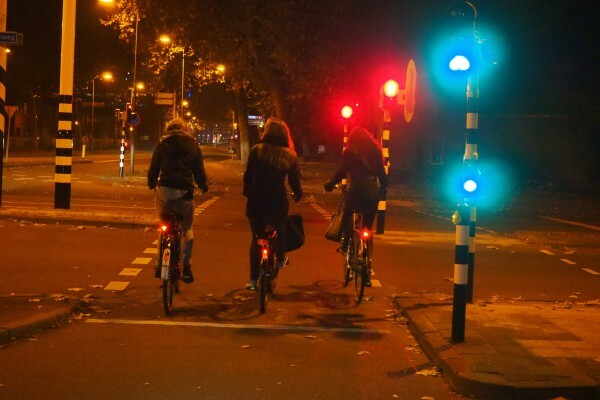 Some traffic lights for bikes sense you are coming and turn green automatically. 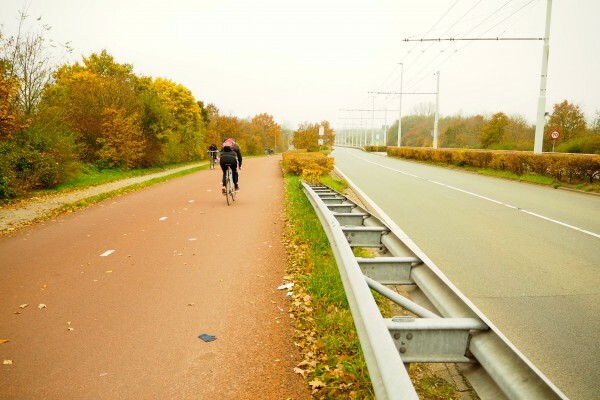 In the Part 1 of the post, I mentioned about how “beautifully landscaped” cycle tracks are within Dutch city limits. Now, I want to dedicate Part 2 of this post to illustrate how continuous (although, this is very difficult to capture with photos) and wide they can be. When I was in Den Bosch about a week and half ago, I was fortunate to have Andre Engels and Mark at BicycleDutch to show me around. I remembered Mark telling me that when we were on this route, he said that we didn’t have to stop for 5 km (3 miles). How is that possible, right? Elevated cycle track leaving Nijmegen train station. Many cycle tracks cut through high traffic streets via tunnels like this one. To provide safety from high volume traffic on surface streets, many cycle tracks become continuous via elevated and tunneled cycle tracks (see second and third photos from top). 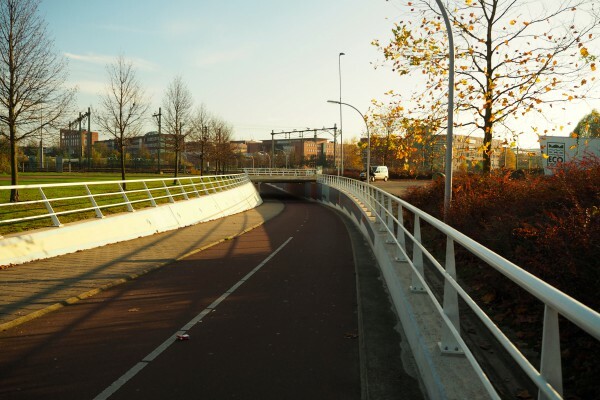 A great example of elevated cycle track to avoid intermixing with cars is the Eindhoven Hovenring. 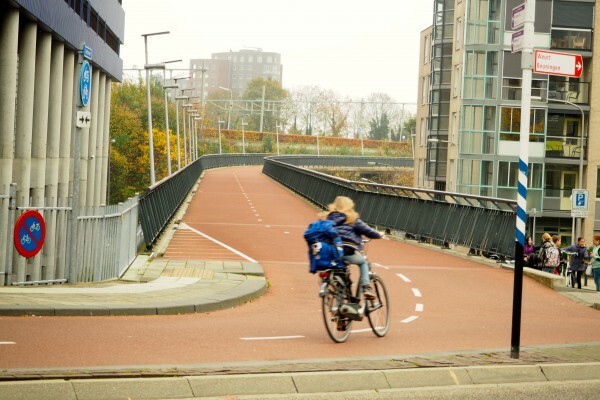 This is what makes riding on Dutch cycle tracks to die for. You can go a really long distance without ever have to stop. I haven’t even brought up about bike paths that go through residential areas and parks, and they are even more continuous. 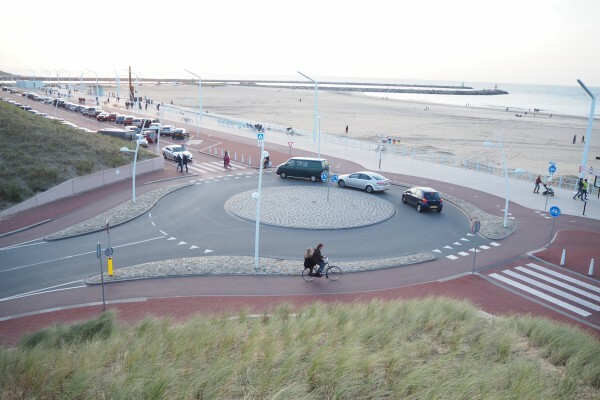 This is a 3 way roundabout at a beach in Scheveningen. The famous roundabout in Zwolle. Note driver is yielding to cyclist. Secondly, roundabouts at intersections are one of the smartest urban street designs. It’s efficient and I think it makes drivers drive better. What’s even smarter is the protected roundabouts for cyclists. I am not going into safety for now, but this is how you get cyclists riding continuously without losing momentum. 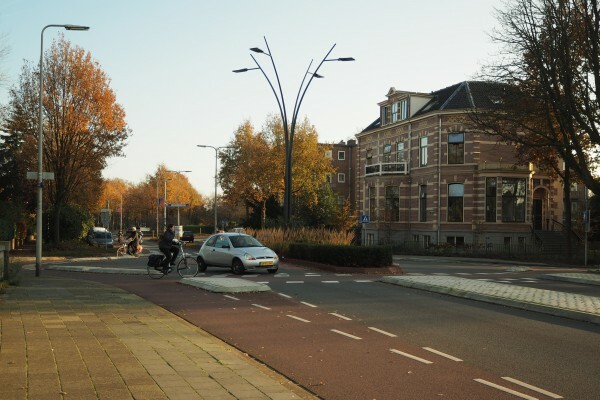 Most roundabouts at low auto traffic volume usually are of this type which cars by law are supposed to yield to you while you keep riding through (the above photo is a specific type of roundabout for cyclists which is the first of its kind, described here). 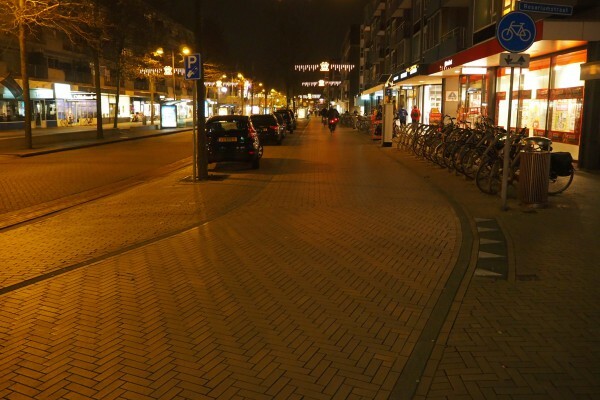 This Arnhem’s cycle track is as wide as the road for Bus Rapid Transit. You can have 4 riding abreast! 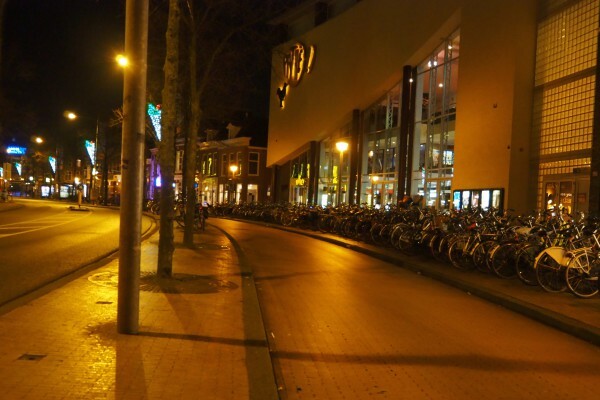 Really wide cycle track in city center of Apeldoorn. Note car parking is to the left of the cycle track. Another wide cycle track inside the city center of Groningen. Finally, in the previous post, I did briefly mentioned that many Dutch cycle tracks are wide to accommodate conversational cycling but didn’t exactly emphasize the wideness. Immediately outside city centers, cycle tracks become ridiculously wide and I love it! Some cycle tracks inside city centers are relatively wide too, as can be seen in the above photos. The wideness makes passing another cyclist easily. I never have trouble passing other cyclists and most of the time, I don’t have to ring my bell. The wideness also makes it easy to have all kinds of cargo bikes on them. In addition, it can hold more cyclists particularly during peak hours. At every single light that turns green for bicycles, the last cyclist in the peloton always have time to cross. I know this because I am always the last one. Some commenter said to me, “why the need to go see touristy attractions when you got cycle tracks?” This is so true. I am always amazed just being on them. Why are they so vacant? Oh because I intentionally took them that way. I didn’t want people in there to distract away from my objectives.